Austin is hilarious. Whether a visitor or a local, you don&apos;t have to be a comedic genius to get a kick out of the funny stuff going on around town. In addition to festivals such as the Moontower Comedy Festival and The Out of Bounds Comedy Festival, Austin boasts many locations where you can catch comedy year-round. ColdTowne Theatre. Credit Jon Bolden. If you&apos;re searching for laughs of your own, look no further than ColdTowne Theatre. Centrally located at 4803-B Airport Blvd. 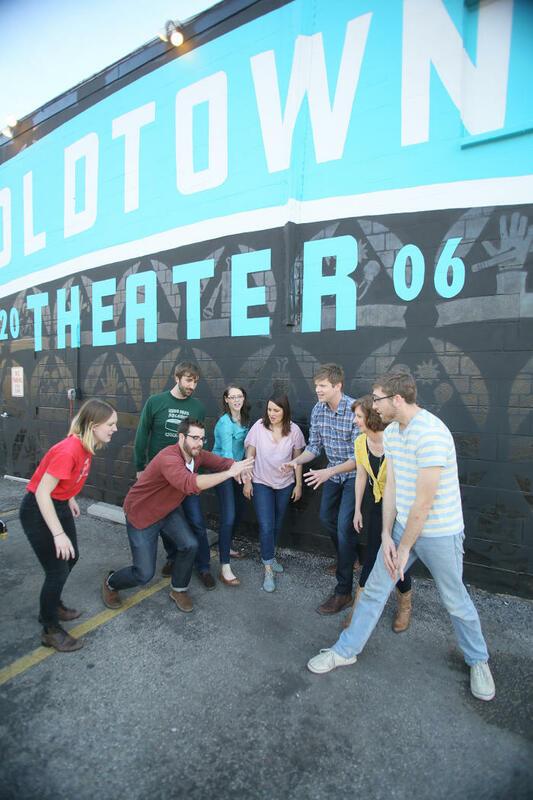 (next to I Luv Video), ColdTowne is open seven days a week and features all forms of comedy: improv, stand-up, sketch, film, music, and a variety of other types. They also offer classes for you, your kids or your company. In addition to a packed calendar of shows, ColdTowne boasts signature events like The Frank Mills & Midnight Society and my new found favorite: Movie Riot. Movie Riot. Is. Hysterical. The fun starts Friday night at 7 p.m., when two teams of comedy masterminds take the stage to create brand new never-before-seen movies live on stage. From a title or song lyric yelled out from the crowd, the performers will craft completely improvised films, all made up on the spot. Add in free popcorn and movie candies, and you&apos;re in for a side-splitting night of cinema-inspired live comedy. Tickets for Movie Riot (and most of the shows at ColdTowne) are $8 at the door or $5 pre-sale online. Be sure to arrive early as this is small-ish theatre and see how ColdTowne helps keep Austin weird!